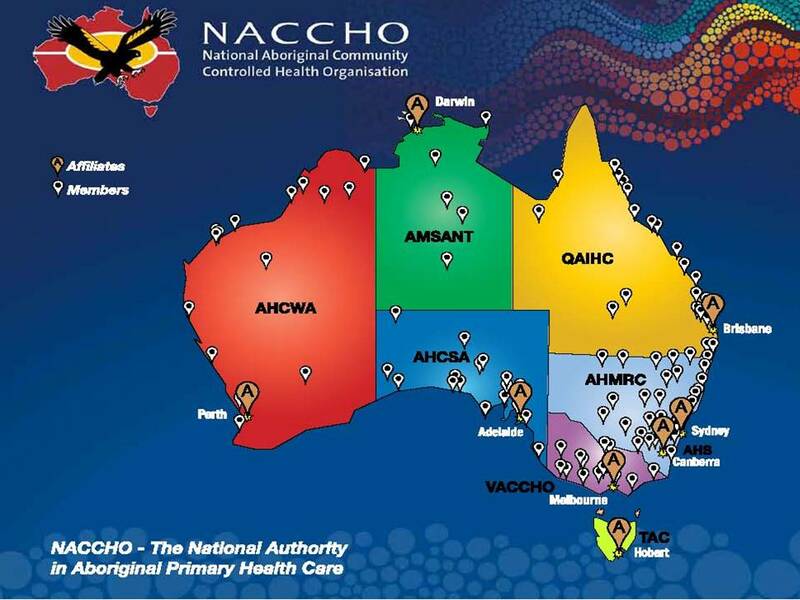 ← NACCHO Aboriginal Health Workforce Survey : Please support #CareerPathways the first national survey of Aboriginal and Torres Strait Islander health staff across all professions, roles and locations. 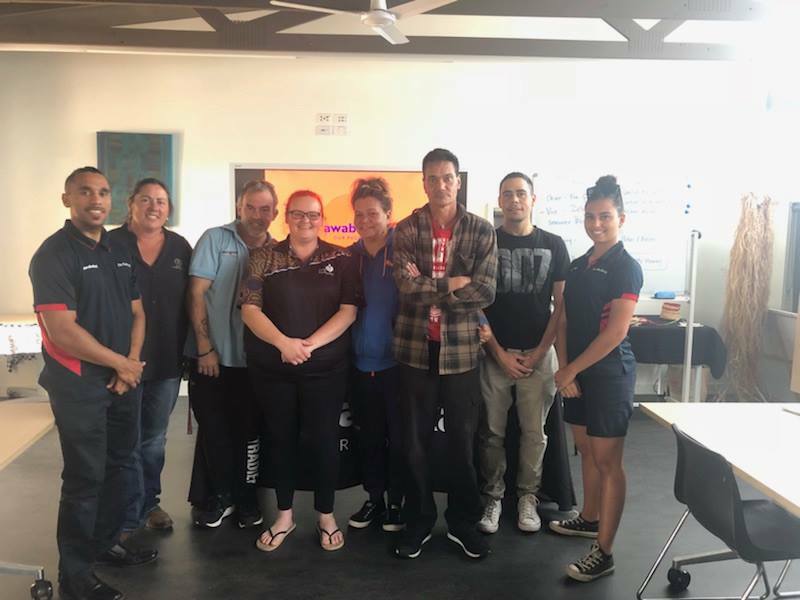 2.3 NSW : The Awabakal Ltd Quit Crew visited Nikinpa Aboriginal Child & Family Centre last week to do a presentation about TIS (Tackling Indigenous Smoking). 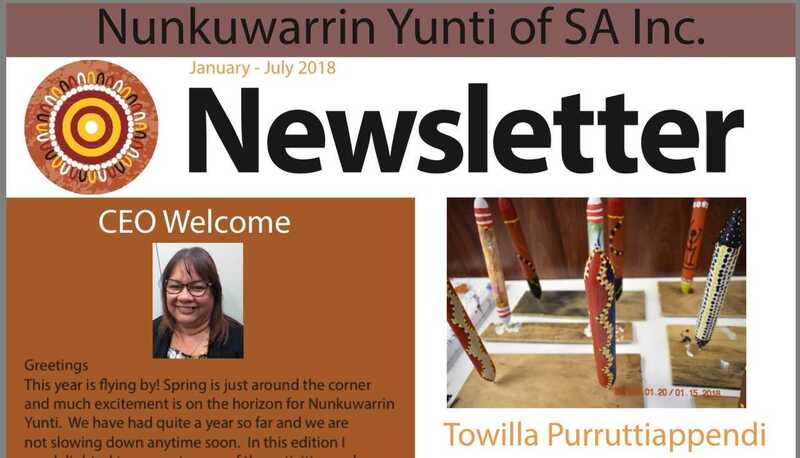 5.2 SA : Nunkuwarrin Yunti ACCHO Newsletter January-July edition 2018. 6. 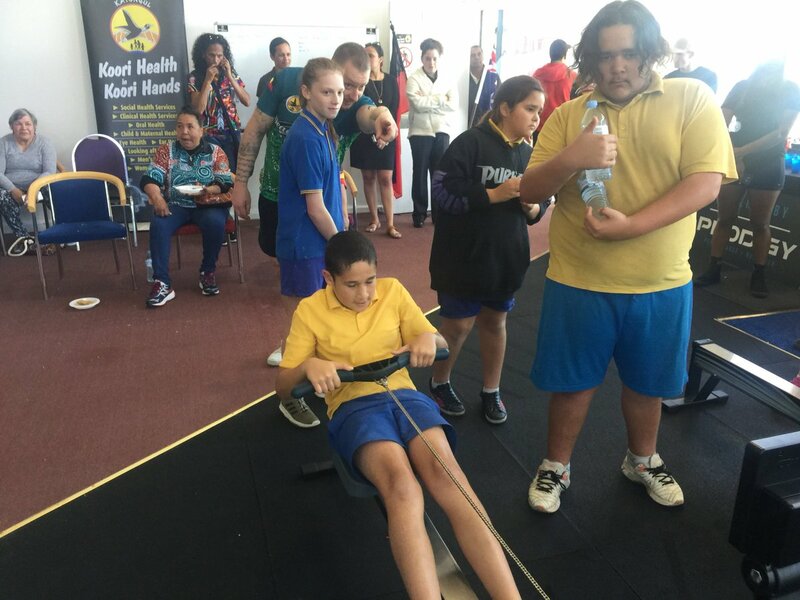 QLD : Apunipima ACCHO : Aurukun was a hive of healthy activity last weekend with the annual River to Ramp Fun Run and Walk. 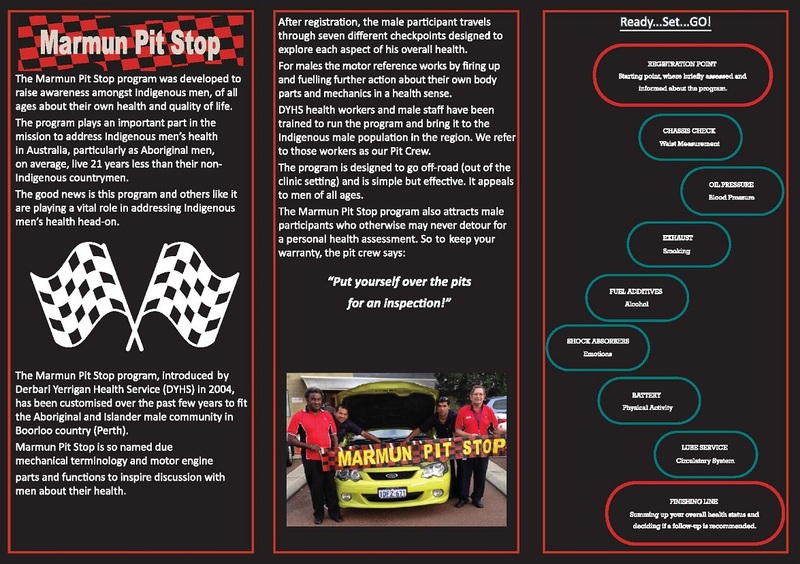 7 WA : Derbarl Yerrigan Health Matters – Men’s Health Marmun Pit stop flyer. 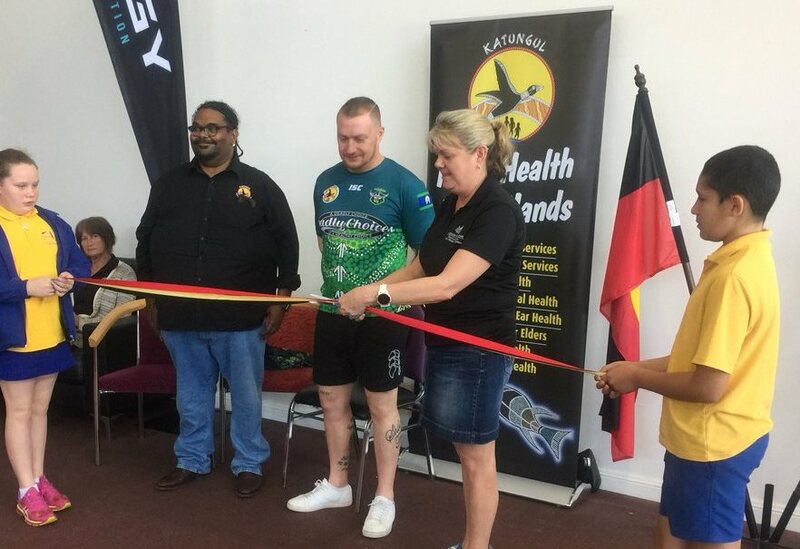 The Batemans Bay Katungul Gym has now been officially opened. 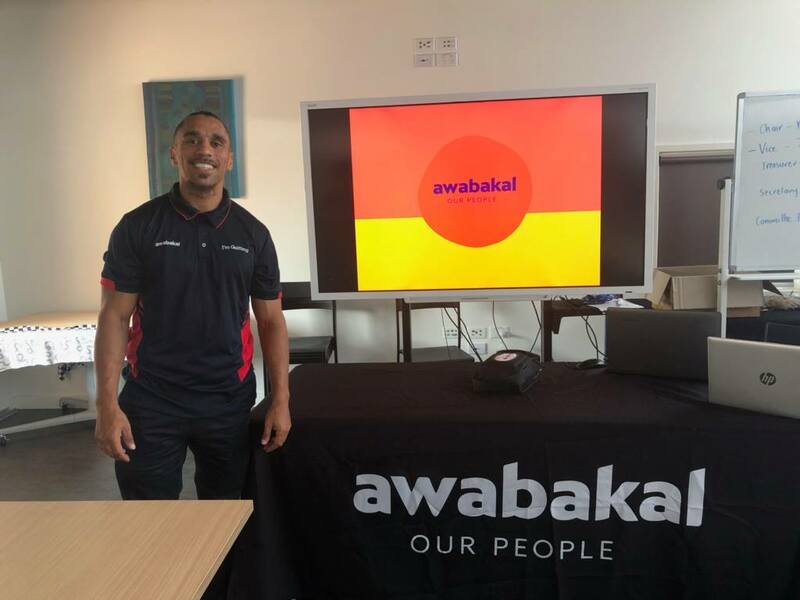 Big thanks to Preston Campbell for attending and speaking on behalf of IUIH & Deadly Choices. 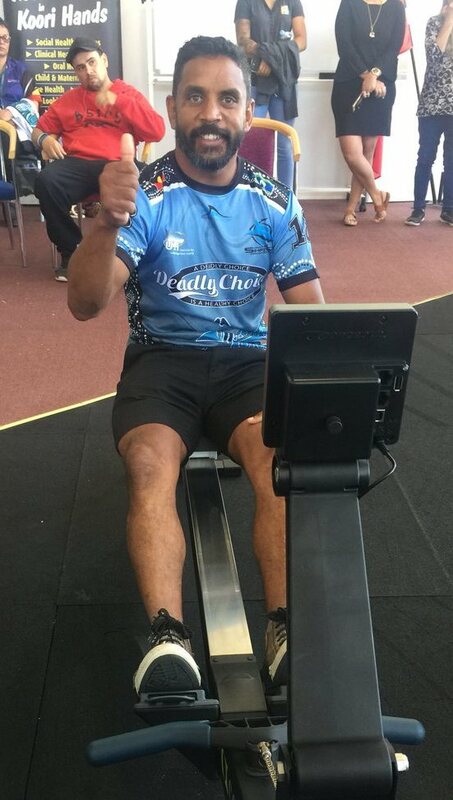 What a great turn out to the Katungul Batemans Bay Gym opening. Will you be joining us for our Community Health Expo next month? 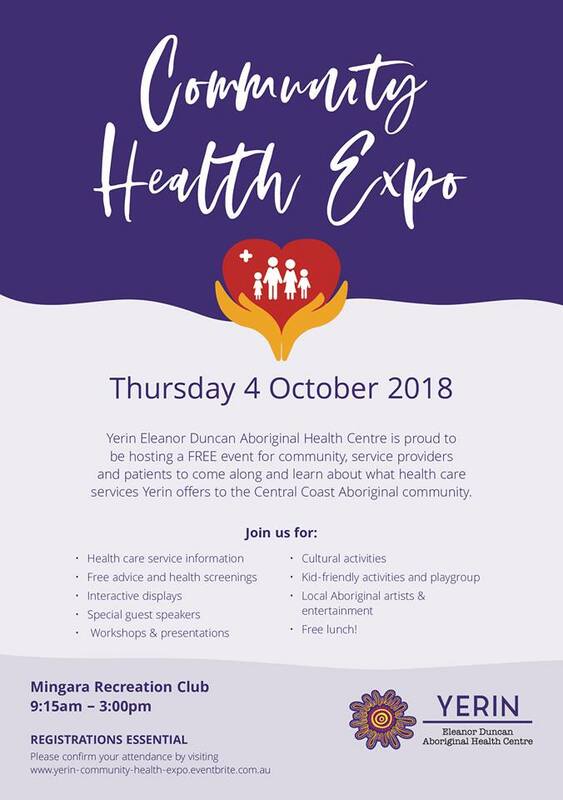 Come along and learn about what health care services Yerin Incorporating Eleanor Duncan Aboriginal Health Centre offers to the Central Coast Aboriginal community. 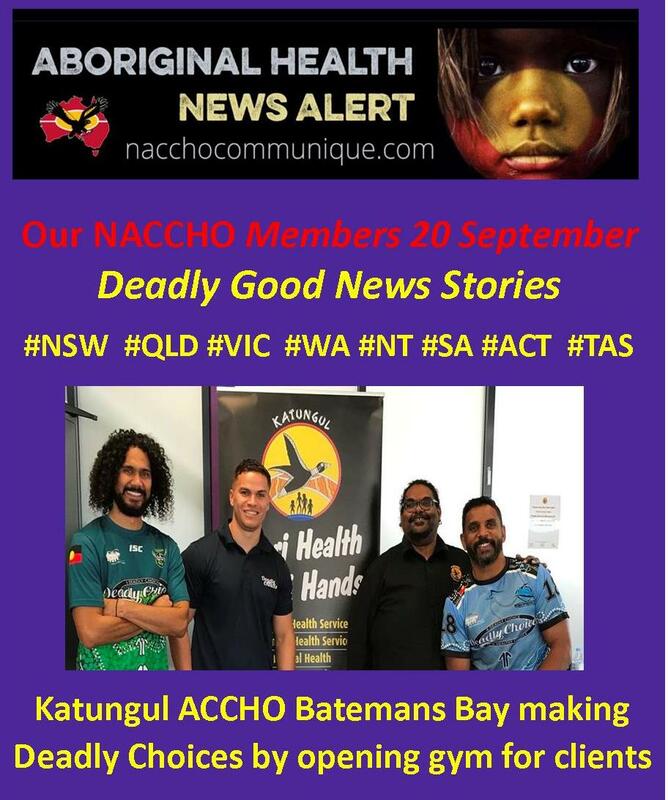 This event offers the Central Coast Aboriginal community an opportunity to actively engage with their health and wellbeing and learn more about the culturally appropriate health care services that are available to them. The presentation included a Smokerlyzer demonstration to show the CO (carbon monoxide) reading in the bloodstream. Thank you to everyone who attended the presentation! If your organisation is interested in educating your workforce about the damages of smoking, give the Quit Crew a call on (02) 4918 6400. We can provide the tools to support smokers to cut back or quit smoking. 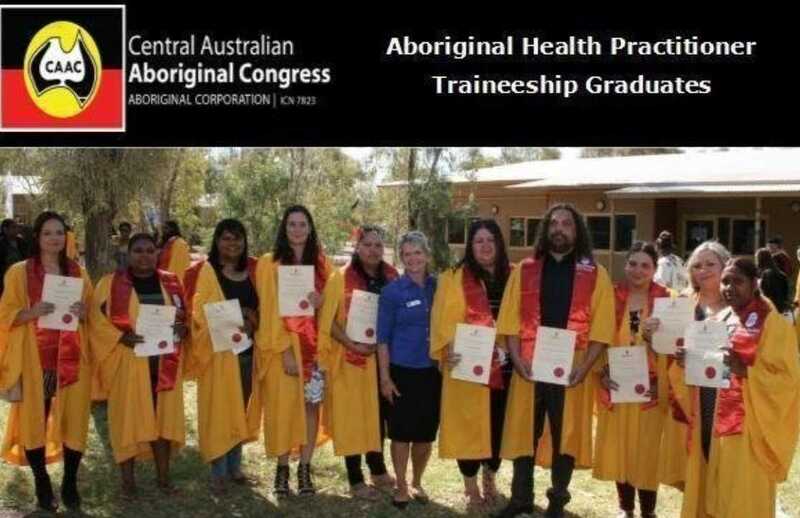 A record number of Aboriginal Health Practitioners [AHPs] will today graduate from the Congress AHP Traineeship program; a partnership with Batchelor College.” Congress’ General Manager – Health Services, Tracey Brand said today. 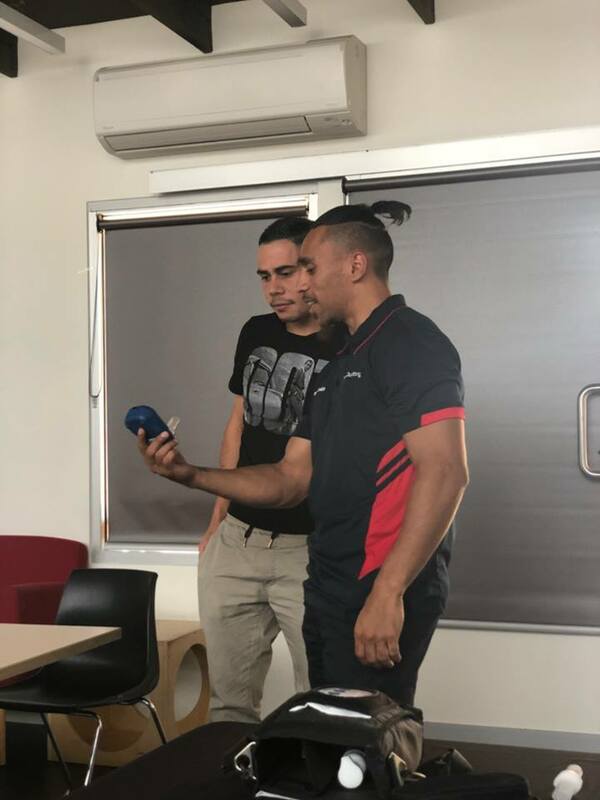 “Ten Aboriginal Health Practitioners from our AHP Traineeship program – including three from our bush clinics – will graduate with their Certificate IV Aboriginal Torres Strait Islander Primary Health Care (Practice) and two senior AHPs will graduate with a Diploma in Aboriginal Primary Health Care. 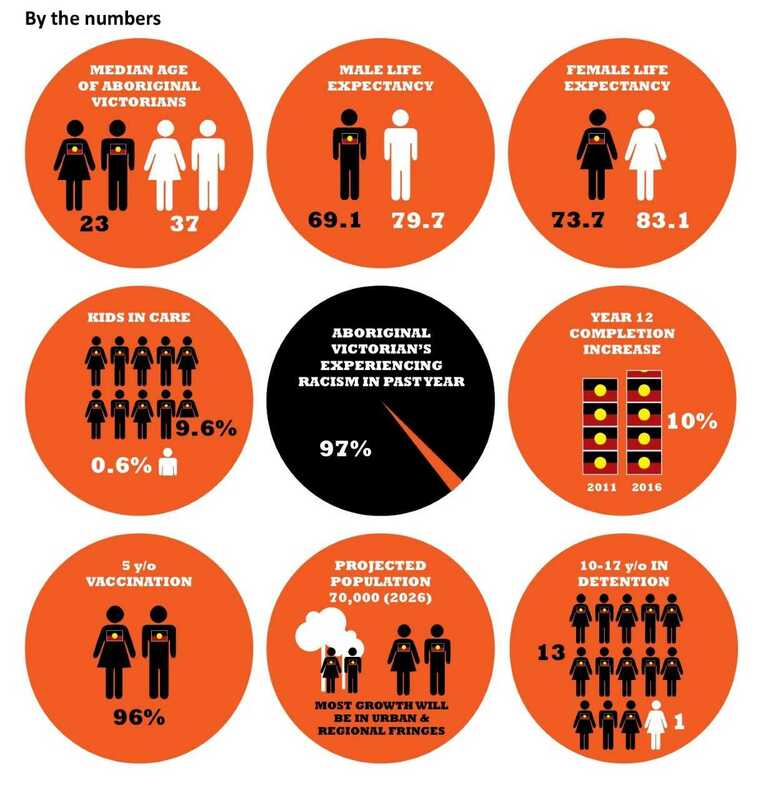 “Aboriginal Health Practitioners are a strategic priority for our workforce. AHPs are critical to the work of Congress in delivering culturally safe and responsive comprehensive primary health care to our people” said Ms Brand. 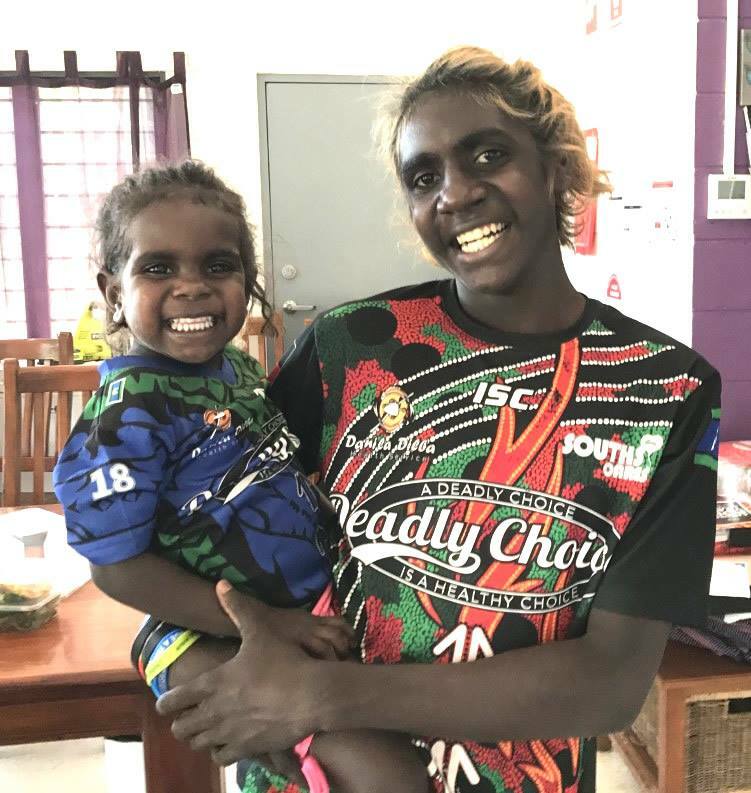 Aboriginal Health Practitioners are recognised nationally as a fundamental component of Aboriginal comprehensive primary health care. As well as providing primary health care, AHPs provide cultural security and safety, disease prevention and health promotion, and local community knowledge. 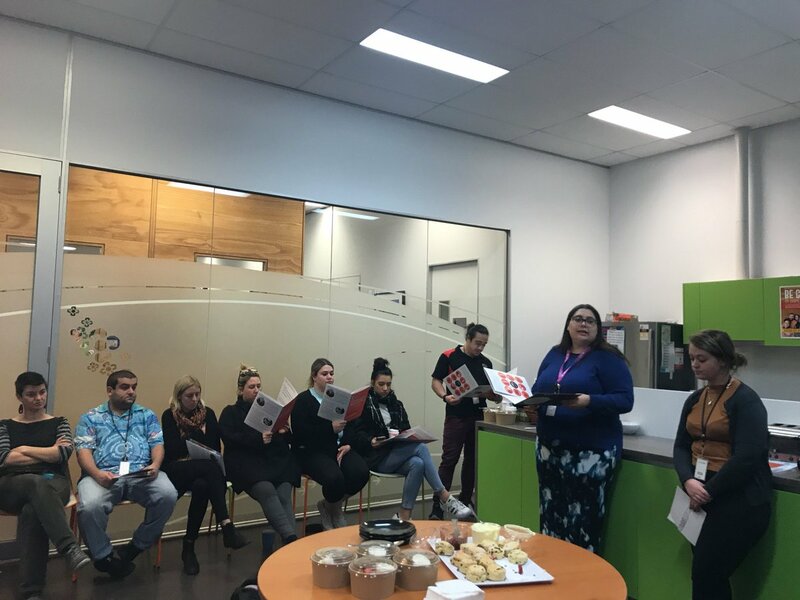 They work within multidisciplinary health care teams to achieve better health outcomes for Aboriginal people and play a key role in facilitating relationships between other health professionals to provide care that meets the client’s physical, social, emotional and cultural needs. “Growing up seeing too many of my family with preventable chronic illnesses, I want to make a difference. I am now a graduate AHP and proud to be working in the new Congress Northside clinic.” said Ms Anderson. 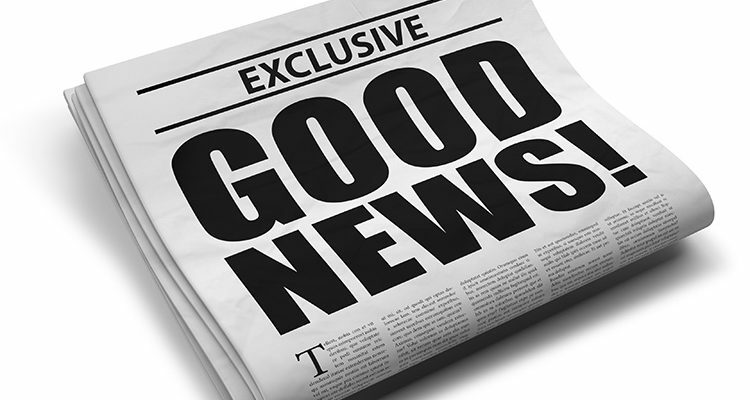 “Following a challenging period in recruiting AHPs in 2016, Congress embarked on a mission to develop our own and launched the Congress AHP traineeship program. The graduations this week are evidence of the program’s success.” continued Ms Brand. “AHP graduates are to be congratulated on their achievement in attaining their qualification. 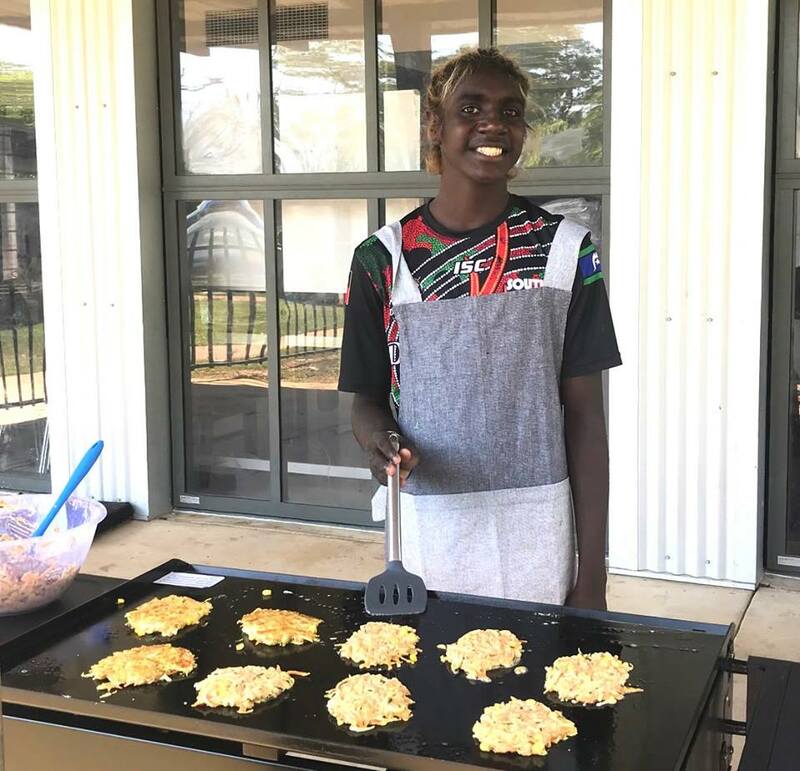 Tracey from our Deadly Choices team visits the Garaworra Supported housing program run by Anglicare NT every fortnight on Mondays and helps prepare some Good Quick Tukka. Yesterday Corn, Zucchini & Carrot fritters were on the menu. 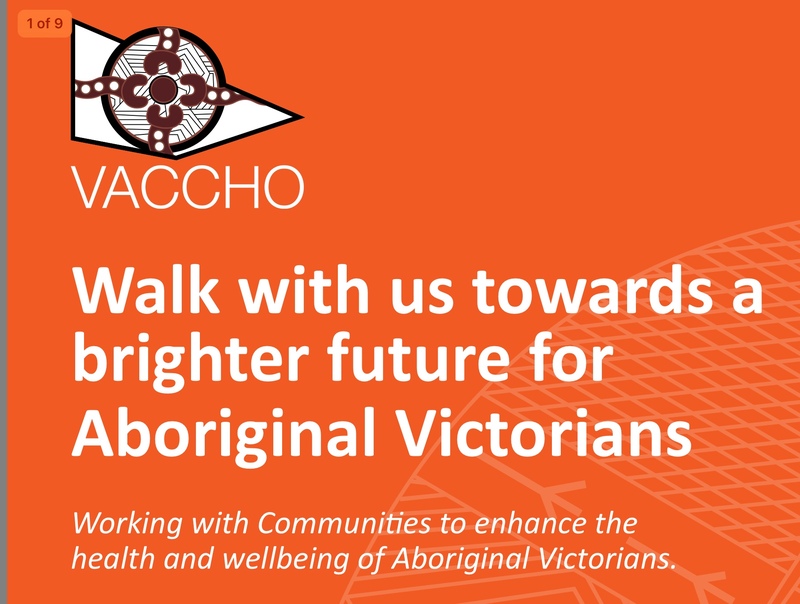 Victoria has been a leader for Aboriginal Affairs across Australia. 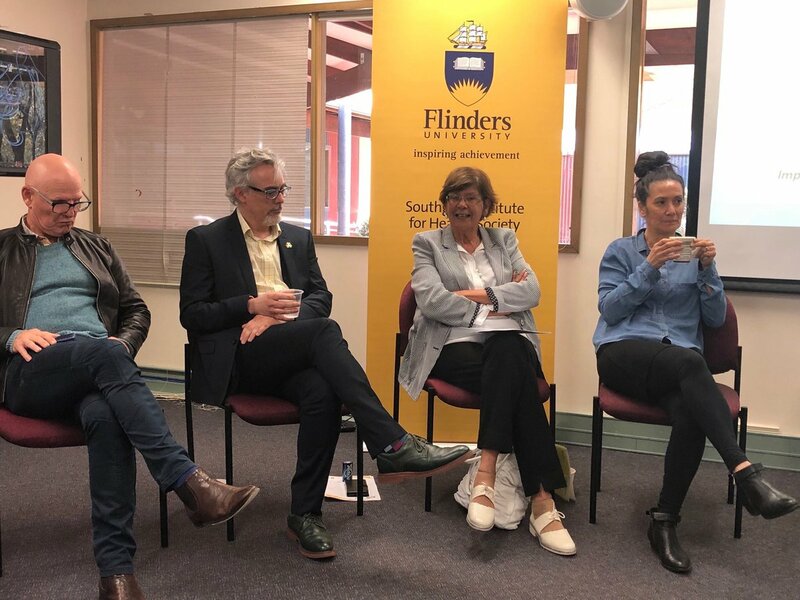 The state has embraced the concept of selfdetermination for Aboriginal people, recognising it is the only policy to produce real and sustainable outcomes for Community. Since 2006 there have been a number of strategies and frameworks that have been co-designed with Aboriginal leaders and their communities. They prioritise areas including education, health, human services, economic participation, child protection and leadership. These community-led reforms across Victoria are improving Aboriginal People’s lives. 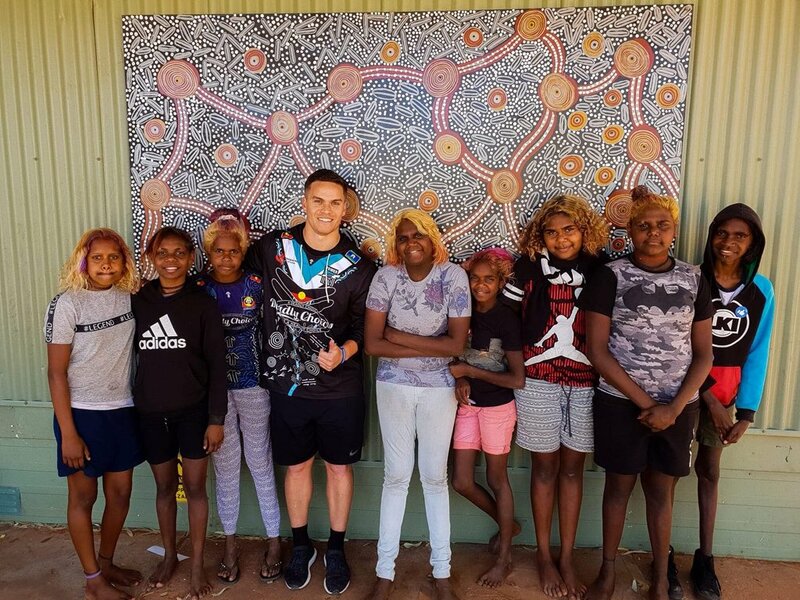 We are seeing healthier babies and mums, more young people completing year 12, and a large increase in immunisation rates for Aboriginal children across the state. Our communities have the solutions, and we will continue to ensure our voice is heard in achieving better health outcomes for all Victorians. It is vital that the partnerships between Community and government continues. Keep walking with us. • Continued support of Aboriginal involvement in strategic decision-making at all levels of government. Almost 100 entrants ran, jogged or walked the seven kilometre course from Obon to the finish line at the picturesque Aurukun Landing. Deputy Mayor Edgar Kerindun oversaw the race formalities and was on hand to congratulate the participants and winners at the finish line. The overall winner was Gabriel waterman, who set an impressive pace given the hot conditions. The overall winner was Gabriel waterman, who set an impressive pace given the hot conditions. The biggest smile of the day went to eight year old Althea Koomeeta, who won a push bike for winning her age group. The success of events like this are the result of a large group of coommitted stakeholders working together. 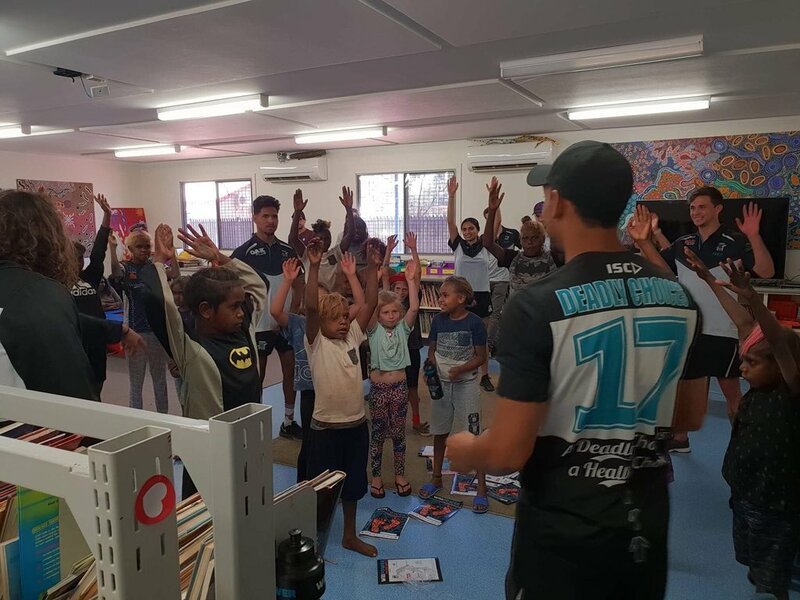 The River to Ramp Fun Run and Walk was supported by the following organisations: Skytrans, Rio Tinto, Glencore, ALPA, Island and Cape Stores, Kang Kang Café, Ercson, Preston Law, Apunipima, Cape York Employment, Koolkan School, PCYC Indigenous Programs, G&R Wills, Kondo Korp, Pikkuws Restaurant and Builders North.